The Vallco Specific Plan Kick-Off Meeting will be on Feb. 5. 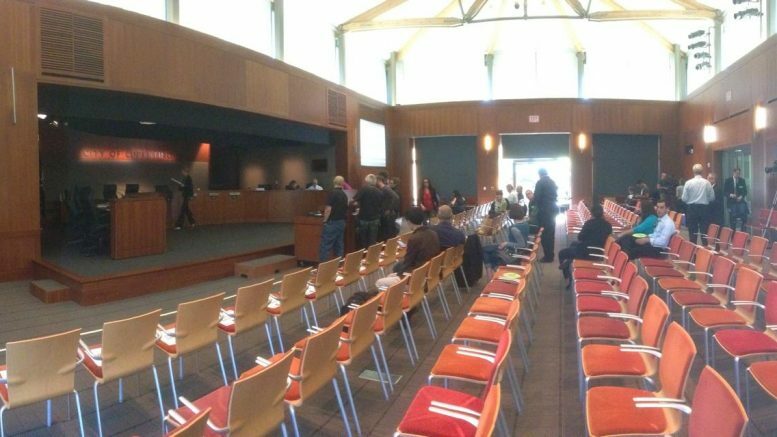 Cupertino’s lead consultant for the Vallco project is set to hold a kick off meeting on February 5 for what city staff says will be an extensive community outreach process. City consultant Opticos Design will lead the meetings, aiming to shine a light on “the various perspectives within the community” and to provide information and updates about the latest plans for the Vallco site, according to the city’s event listing. Last fall, Vallco Mall owner Sand Hill Property submitted a formal request to the City to restart the process to redevelop the ghost mall. The request came one year after ballot Measure D, which supported Sand Hill Property’s office-centric The Hills at Vallco plan, fell short of votes. “We have learned from last year’s ballot measures and from our interactions with the community,” Sand Hill said and they asked the City to study project alternatives for the site that would reduce the office space from its earlier The Hills at Vallco plan and increase housing, with a significant amount of affordable units. On Nov. 21, Cupertino City Council authorized the preparation of a Specific Plan, which proposes a “vibrant mixed-use town center” at Vallco. Sand Hill’s attempts to redevelop the old Vallco mall continue to receive opposition by the group Better Cupertino, which created the voter-rejected Measure C in November 2016 that would have rezoned the Vallco mall site to prohibit residential and office use, allowing only retail. Better Cupertino also opposes the Specific Plan process, alleging in their January newsletter that community members and business representatives had been “pre-selected” for interviews about Vallco’s future. The city, however, says it is scheduling ample opportunities for community members to weigh in on the project. The meeting will take place on Monday, February 5, from 6 p.m. to 8:30 p.m. at Cupertino Community Hall, 10350 Torre Avenue. “If you cannot make [the Feb. 5] meeting, be assured that there will be many more opportunities for you to be involved and share your perspective,” said city officials. Cupertino residents are invited to sign up for project updates on http://envisionvallco.org. 1 Comment on "Meeting to kick off Vallco Specific Plan process"